Decoy tactics occur when you try to get a piece onto a square. Once the piece is there, then you can use another tactic. A trap tactic happens when a piece is attacked and it has no safe place to retreat. The piece may be deep in the opponent’s territory, or out in front of its own pawns, or blocked in by its own pieces and pawns. A trap tactic is also called no retreat. To find a trap tactic, look for a piece that has no safe moves, where the piece can be attacked and captured. If the piece has a few safe moves, look for ways to block its retreat before you attack it. Or, look for ways to force the piece onto a different square where you can trap it. A lure tactic happens when a piece is forced onto a square in order to use another tactic. 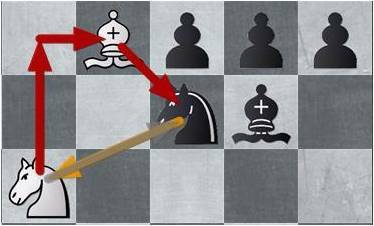 It usually occurs when the pieces are not quite in the right position for a tactic, but they are close. You may be able to use a lure tactic to force the pieces to move where you want them. After they are there, then you can use another tactic. The poisoned pawn is one example of a lure tactic followed by a trap tactic. A lure tactic is also called attraction, temptation or enticement. To find a lure tactic, look for another tactic that could be played if a piece was on a different square. Then look for ways to force or tempt the piece to move to that square. Once the piece is there, then you can use another tactic. Sometimes, you may need to lure more than one piece onto a different square before you can use another tactic. An interference tactic happens when a piece blocks a defender from what it is defending. The defense is obstructed or screened by a piece moving in between. The interfering piece may be your own piece or the opponent’s piece. After the defense is blocked, then the attack comes through. Interference is also called obstruction, screening, or breaking communication. To find an interference tactic, look for a piece that is defending something. 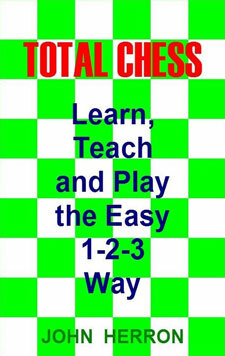 Then find a way to move one of your pieces between the defender and what it is defending, or find a way to force one of the opponent’s pieces between the defender and what it is defending. The only defending pieces you need to look at are the queen, rooks and bishops. They are the only pieces that can be blocked or screened from their defense. Once the defense is blocked, then the attack is free to come through.